In the past, JAINA Education Committee had a great success in conducting six workshops in Raleigh, NC (two workshops), Atlanta GA, Washington DC, Dallas TX and Buena Park (near Los Angeles) CA. They bring you two more Jain Workshops as below. 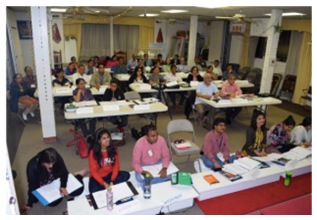 Jain Society of Northern California (JCNC), Milpitas and the JAINA Education Committee have jointly organized the Jain workshop from Friday March 08, 2019 to Sunday March 10, 2019. More details on workshop #7 is here. 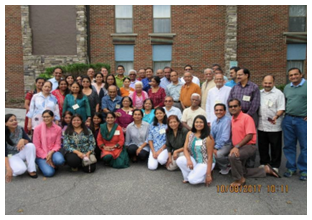 Jain Workshop #8 will be at Raleigh NC from March 22, 2019 to March 24, 2019. Details will be announced soon.